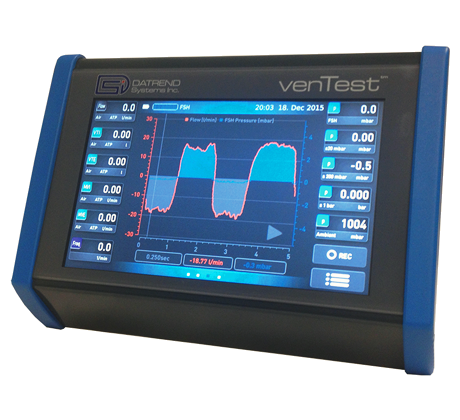 A compact, portable and easy to use device for testing ventilators and anaesthetic delivery systems of virtually any type. Its compact design makes it suitable for testing Ventilators and Anaesthetic systems of virtually any type. Equipped with an internal rechargeable battery, enabling mobile operation without a mains connection. On-board Graphical Display enables the generation of Pressure and Flow waveforms without the need of a laptop. User-defined test procedures and associated report forms can be stored and retrieved from the removable SD card or USB external memory. Humidity 0 – 100 % r.F. ± 3 % r.F.